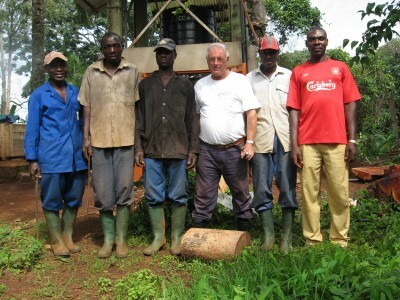 On the job … in Cameroon. H2O-Energies is a team of highly qualified specialists in the Geneva area who voluntarily work to provide drinking water for disadvantaged communities in Africa. H20-Energies has developed and is implementing drinking water production equipment for small local communities in Cameroon and Kenya. This second level of our action is not the least because, if it is important to provide clean drinking water, it is so even more on the long term.